Here is some information about the team of wonderful people involved in A Step Ahead, including those who you may communicate with or meet, and those who work behind the scenes. Our office is based in a tiny village in the Spanish Pyrenees, and is run by Africa expert Gillian Lyons and professional guide Justin Bell. They are helped by Marisa Rossetto, who never shies from taking on a new task and is known for her attention to detail. Our own A Step Ahead guides help design itineraries and accompany you if you decide to go on a private guided journey. They have travelled to various parts of the world, are erudite and entertaining, and are expert all-rounders with vast knowledge in fields such as wildlife in general, or rural life in northern Spain. They usually also have several specialist interests. This could be the history of the Pyrenees, ornithology, a period of history, or perhaps photography. 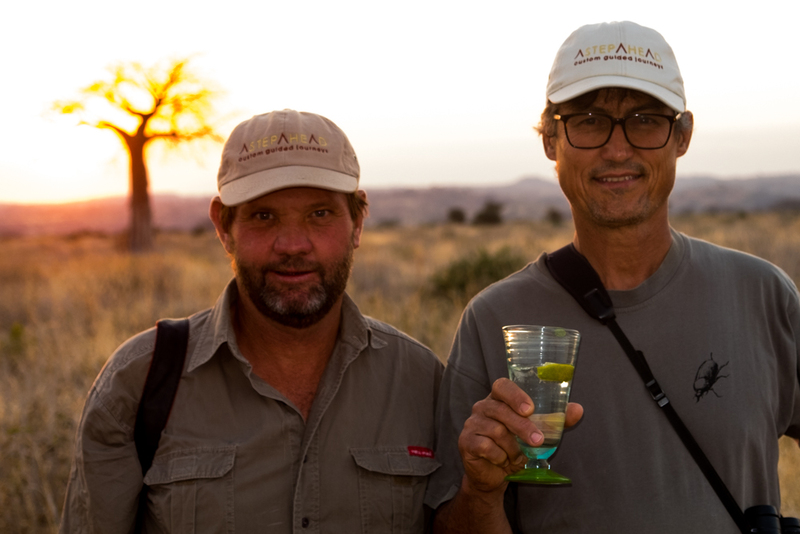 Dave Christensen, an outstanding African all-rounder guide, qualified as a specialist walking guide, and who has been on the Professional Hunters and Guides Examining Board in Zimbabwe since 1992. Dave is also an avid wildlife photographer. Travel expert and guide Justin Bell was born in Kenya, has lived in Tanzania, and has travelled all over Africa, including a journey crossing the Sahara from Algiers to Agadez in Niger, continuing though several coastal west African countries to Guinea. Justin has accompanied safaris in Botswana, Ethiopia, Namibia, Rwanda, Tanzania, Uganda and Zambia, successfully accomplished over 25 summits up Mount Kilimanjaro, and organised and guided cultural journeys in the Spanish peninsula. If Dave or Justin are not be available, one of these outstanding guides may lead your journey. Marc Baker, an environmentalist and keen ornithologist, is committed to conservation and development in Tanzania, and runs Carbon Tanzania, a non-profit (NGO) that enables corporations and concerned individuals to be involved in preserving forests and offsetting carbon. Marc is a professional naturalist. His scientific background combined with his childhood experience of living in Africa, has resulted in a broad understanding of Africa’s environments, wildlife, people and history. His love for wildlife and adventure, his passion for sharing his knowledge, his sense of humour, and his boyish eagerness, make him a wonderful companion in the bush. While he is interested in a almost anything concerning nature, his focus has been ornithology. Marc was born in England, and moved to Africa when he was 7 years old. He finished his secondary education in Dar-es-Salaam. He then joined the British Army for five years, before studying at Nottingham University in England, where he graduated as a conservation biologist. Marc then returned to East Africa, becoming chief ornithologist with a United Nations conservation project. He then became a professional safari guide, while simultaneously continuing private consultancy. He lives in Arusha, Tanzania, with his wife Claire and their children Niamh and Oscar. Marc is actively involved in conservation in Tanzania. 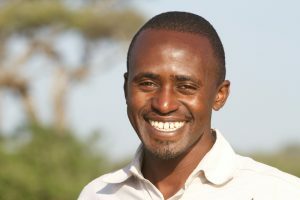 He is a member of the Wildlife Conservation Society of Tanzania and the African Bird Club. He started and runs Carbon Tanzania. 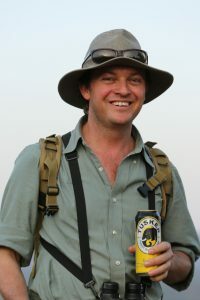 He has published several scientific papers, and is a regular contributor to the Tanzanian Bird Atlas, Tanzanian Ringing Scheme and the Carnivore Monitoring database. 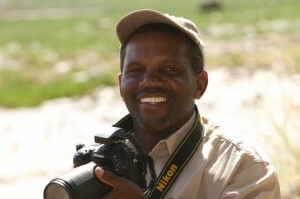 He has also written popular articles on travel and wildlife in Tanzania. Iberian expert Richard Cash has walked the Pyrenean High Route from the Atlantic to the Mediterranean no less than four times, and delights in showing visitors the amazing landscapes, virgin nature and mountain villages, culture and history that first captivated him in 1988. Richard is a dedicated naturalist and historian and leads nature and ornithology tours as well as walking and trekking trips. He is a qualified in first aid, as a cross country ski instructor, and as a mountain leader. When not out in the hills, Richard is at home in the Hecho Valley with his partner Niki and their two children. He is immersed in the life of a traditional Pyrenean village which means, among other things, growing plenty of produce in his vegetable garden, and playing the fiddle and mandolin in an Aragonese music group. Justin’s brother Damian Bell was born in Nyeri, Kenya, and has lived in Tanzania since 1989. They started a safari company together in the 1990s. Damian is an avid environmentalist with a keen interest in the local people and their cultures. He started Honeyguide, a non-profit (NGO) that enables local communities, bordering national parks and other areas with wildlife, to benefit from wildlife. Spike was born in Zimbabwe and grew up in Hwange National Park, where his father worked as an ecologist. Thus, Spike experienced wildlife at close quarters from an early age, often accompanying his father on field trips, camping at waterholes among the elephants or exploring the bush on his own, searching for birds’ nests and eggs. This childhood passion developed when Spike passed his Professional Guides licence in 1988 and worked extensively throughout Zimbabwe – guiding, operating mobile safaris, and managing wildlife estates and safari lodges as part of his portfolio. His interest took him further afield to the Selous in southern Tanzania where he was head guide and manager at an exclusive safari lodge for five years. 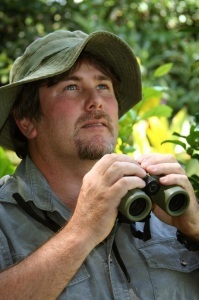 Spike’s knowledge and love of nature, his reputation as a birder and his calm nature have contributed to his career as a professional guide and his contribution to training guides. His adventures leading groups on safari have resulted in him being familiar with parks in Zambia, Botswana, Namibia, Tanzania, Mozambique, Kenya and Ethiopia. He believes that safaris are as much about people as about the wildlife and he is never happier than when he is in his beloved African bush showing people Africa’s rich diversity. Squack was born and brought up on a large cattle ranch in Zimbabwe, the son of an immigrant farmer from Kenya. He was educated at a remote boarding school in the Zimbabwean bush, and the love affair with all things wild continued. After sitting the first of the Zimbabwean professional guides examinations, he took up guiding full time in Hwange National Park and continued his licensing examinations until 2001, when the call of longer walking safaris beckoned and he returned to East Africa to run Sabuk Lodge and conduct camel safaris in northern Kenya, as well as trips elsewhere in Kenya. In 2004 he moved to Tanzania, where he ran Chada Camp in the remote Katavi National Park (Tanzania) and participated in training local guides. Since then he has been guiding safaris throughout Tanzania and Kenya. Squack lives in Nanyuki, Kenya with his wife Mirjam and son Liam. His professionalism, skill at moving a full glass from his head to the ground without touching or using his hands, in–depth bush knowledge and infectious enthusiasm charm all visitors, young and old! Regional guides are generally based in one country or often a particular camp. They become specialists in their area, often knowing the various prides of lions and when certain individuals were born for instance, or other details specific to their area. Aside from enriching a safari experience because you get to know the local people, they also provide insight into the customs, language and traditions. Chediel is a member of the industrious Chagga tribe, who inhabit the area surrounding Mount Kilimanjaro, where he was raised. He was educated in the town of Moshi and continued his education in Kenya, where he qualified as a radio technician. In 1995 Chediel took the opportunity to embark on some formal wildlife studies, and then decided to become a safari guide. He guided in most national parks, and became very familiar with the northern areas. In 1999 Chediel joined of of Tanzania’s best local operators, Nomad Tanzania and widened his experience by working in the more remote areas in southern Tanzania as well. He also was trained as a walking guide, and which he enjoys immensely. Chediel’s relaxed manner, in-depth knowledge of the bush and love of his country make him an ideal companion for a safari in Tanzania. 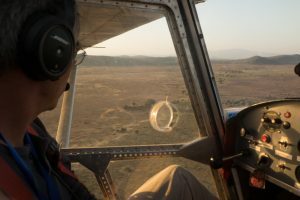 Kakae has travelled from the top of the mountains of Greystoke Mahale to the wide Rufiji of Sand Rivers Selous and then up to the far north of the Serengeti and Lamai. This is just the tip of the iceberg of a man with a very interesting background; after getting his Bachelor of Science degree in Wildlife Conservation and Management he ended up working with some Norwegian geologists carrying out ‘Limnology Studies’ at Lake Natron. Every evening they would sit around the fire telling stories of African and European cultures and their respective wildlife, and the more Kakae spoke of his love for the Tanzania wilderness, the more he realized there was a lot more to life than brine and sodium carbonate! He then joined Nomad Tanzania ,of of Tanzania’s best local operators, and guided in one of the most remote camps in Africa – Nomad’s Greystoke Camp on the shores of Lake Tanganyika, fascinating his guests with his general knowledge and passion for the chimps. 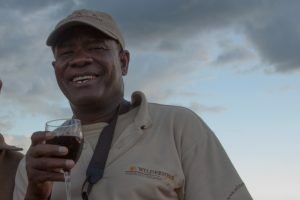 Widening his repertoire, he guided beside the meandering Rufiji River in the Selous Game Reserve, before moving to the Serengeti ecoystem in the far north of the country, so he has experience throughout Tanzania! Ole Kirimbai is a Maasai tribal elder. The Maasai are renowned for their love of cattle and their knowledge of the African bush. For many years Ole Kirimbai worked for the Tanzanian Game Department as a game officer. He worked mostly in the bush of northern Tanzania, including in the area surrounding Tarangire national park. Later, when the government established anti-poaching units, he became a second-in-charge commander of an anti-poaching patrol. On one operation he was sent to the Selous game reserve for re-inforcement, and has many exciting stories to tell from those days! In the late 1980’s he began working for a tour company running a mobile camp. In 1n 1991 he joined the mobile safari company Justin Bell and his brother Damian started. He soon became a safari guide, and has proven exceptional in this profession. He is especially noted for his enthusiasm for learning about nature, his total sense of ease in the bush, entertaining children, and his cheerful disposition. He has qualified as a KPSGA (Kenya Professional Guides Association) Bronze level guide. He now works as a professional safari guide only when requested. He is mainly occupied as chairman of the Honeyguide Foundation, which works on anti-poaching and developing community involvement in wildlife protection, started by Justin’s brother Damian Bell. Ole Kirimbai is a father of five children, is a leader of his local church choir, and is a respected elder of his community.